If you are representing yourself at the WRC or Labour Court you will need to be prepared to adapt your approach depending on how the hearing is conducted. You may have familiarised yourself with the rules for the conduct of Labour Court hearings in Labour Court (Employment Rights Enactments) Rules 2016 which are made pursuant to the Workplace Relations Act, 2015. Being able to test the submission and evidence of the other party is, to my mind, of considerable importance. In any dispute it is vitally important that each sides version of events is tested. So, the Division hearing the case are starting from scratch and forming their own view, unsullied or influenced by the original hearing at the Workplace Relations Commission. the division of the Court before which the appeal is being heard. Therefore, you may have spent a lot of time closely scrutinising the submission of the other party with a view to picking holes in it and challenging it; you may have spent a lot of time anticipating what evidence the witness(es) for the other side will give; you may have spent a lot of time preparing questions for the cross examination of those witnesses; you may have spent a lot of time preparing questions for your own witness to show his case in the best light. But it could well transpire that that time is, regrettably, completely wasted. Because you may not get to do any of those things depending on how the hearing is conducted by the Chairman of the Division. You will need to be ready for this and the best way to do this might be to have prepared your very best submission in the first instance as this submission (6 copies) has to be sent in to the Labour Court not less than 7 days before the hearing. And then be ready to adapt to the way the Chairman decides to conduct the hearing. The same situation can arise in a WRC (Workplace Relations Commission) hearing. I was involved in such a hearing in which I was representing the employer in a constructive dismissal case. 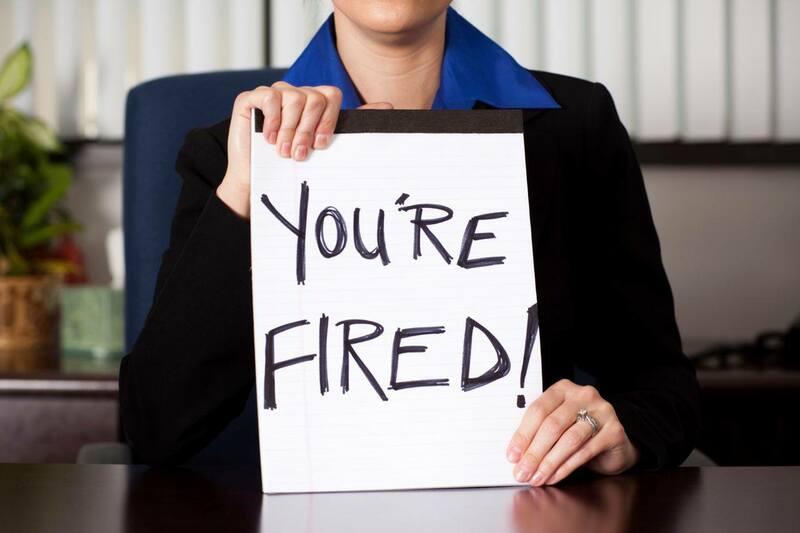 In a constructive dismissal case the burden of proof rests with the employee to prove that he/she had no choice but to leave the job due to the conduct of the employer, and that it was reasonable to do so. I was looking forward to cross examining the employee and, in particular, asking why she had not availed of the grievance procedure in the workplace, why she had not told the boss that she had a problem, and why she had left in a precipitative fashion without giving my client, the employer, the chance to remedy the problem. I also wanted to ask other questions such as the role her husband had played in her decision to quit, external, personal pressures that may have lain under the surface and which may have compelled her to make a hasty decision. When the Adjudicator asked her why she had quit the claimant gulped a couple of times, took out a packet of tissues, tears began to run down her face, then she began to sob and the adjudicator, being a sympathetic, kind lady offered to break up the hearing so the claimant could gather her thoughts and recover. Needless to say I never got to cross examine the claimant or even put one question to her as the conduct of the hearing is entirely within the discretion of the Adjudicator. During the break the adjudicator approached me and suggested that the case should be settled. A brief conversation with her persuaded me that this was probably a good idea, even though we had a sound, robust defence. My fear was that we would never get to put forward our defence or cross examine in the way that was necessary and we took the option of a ‘tactical retreat’. Or as Uriah Heap’s mother in David Copperfield exhorted: ‘Uri, Uri, be humble; make terms’ when the fraudulent, dishonest, deceitful activities of Uriah Heap were exposed by Mr. Wilkins Micawber. In the circumstances, my client was forced to ‘make terms’ and to settle the case for a small amount of money but that’s not the point; we should still have been allowed to test the evidence and challenge the claimant’s version of events which were, quite frankly, incredible. Sometimes, though, you need to be able to ‘read the room’ and adapt your strategy. This may be what you will have to do is you are involved in a WRC or Labour Court hearing. Don’t say you haven’t been warned. New rules for the conduct of Labour Court hearings came into effect in January, 2019. 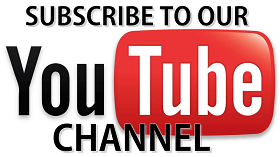 Here is a link to them. If you have dismissed an employee you are almost certainly aware that a successful claim against you by your former employee can lead to an award of compensation of up to 2 years’ salary. But did you know that there are 2 other remedies that can be awarded if the employee’s claim succeeds? Yes, the Workplace Relations Commission adjudicator, in an unfair dismissal hearing, can also order that the employee be reinstated or reengaged. This can be the worst possible outcome for some employers. It is not a frequent outcome to an unfair dismissal claim and more often than not the employee will only tick the box on the WRC claim form seeking compensation. If this is the case then the adjudicator has no decision to make once he decides the employee has been unfairly dismissed. But sometimes an employee will seek reinstatement to their old position. He may do this for tactical reasons-for example, it may encourage the employer to attempt to settle the claim before it goes to a hearing at WRC for fear of losing. On other occasions, however, by virtue of the nature of the industry or specialised nature of the job, the employment prospects for the dismissed employee may be poor. If this is the case the employee may be perfectly happy to resume his old job, or an alternative position in the same organisation, which can be an equally bad result for the employer, who would be happy to never see the employee again. This can cause a major headache for the employer who will doubtless argue that the relationship between employer and employee has broken down and there is a lack of trust and confidence between the parties and they should not be forced into resuming the old relationship. This is a widely used and accepted argument. But it’s not always successful. The WRC adjudicator, on 28th March, 2018, made an order for re-instatement in this case involving a banker versus his former employer, a bank. The banker, a trader, was dismissed for gross misconduct and brought a claim for unfair dismissal. 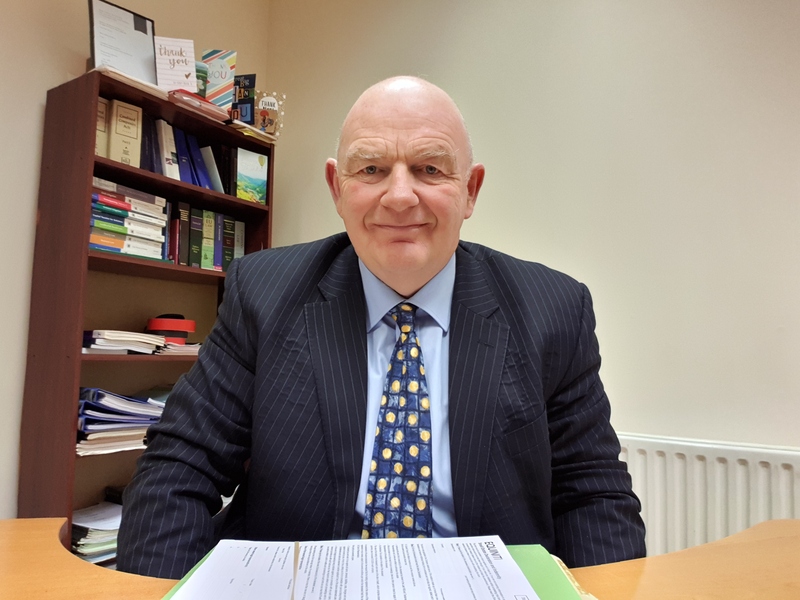 Without going into all the details (there is a link below for full details of the decision) the decision of the adjudicator, Mr. Kevin Baneham, was that the unfair dismissal claim was to succeed due to the imperfections and flaws in the bank’s disciplinary procedure which led to the dismissal. The next step to be decided was the appropriate redress for the employee. The redress sought by the banker, once he succeeded in his claim, was re-instatement. The adjudicator agreed that re-instatement and re-engagement were possible awards as the banker was a popular employee whose performance appraisals were good and was a good team player. The bank, however, argued that re-instatement was not appropriate as it could lead to a poor relationship between the parties in the future, there would inevitably be disharmony, and the relationship of mutual trust and confidence between the parties was shattered. The adjudicator did not agree. The adjudicator had regard for the fact that the banker operated in a strictly regulated environment and industry and a dismissal would possibly be fatal to obtaining alternative employment in such an industry, given the relatively limited options. For this reason the adjudicator ordered that the employee be re-instated as it was ‘just and equitable in this case’. For the reasons provided in this report, I find that the complaint of unfair dismissal is well founded and, pursuant to section 7(1)(a) of the Unfair Dismissals Acts, I order the re-instatement by the respondent of the complainant in the position which he held immediately before his dismissal on the terms and conditions on which he was employed immediately before his dismissal together with a term that the re-instatement shall be deemed to have commenced on the day of the dismissal. If you are an employer ensure you or your advisor checks the WRC complaint form to see if the redress sought by the employee includes re-instatement or re-engagement. If you are an employee you may consider nominating those options as redress you are seeking as it may put some pressure on your former employer to settle the case before it goes to hearing, for fear you will win and an order for re-instatement is made. Since the introduction of the Workplace Relations Act, 2015 a new system of adjudicating employment complaints and disputes was introduced. 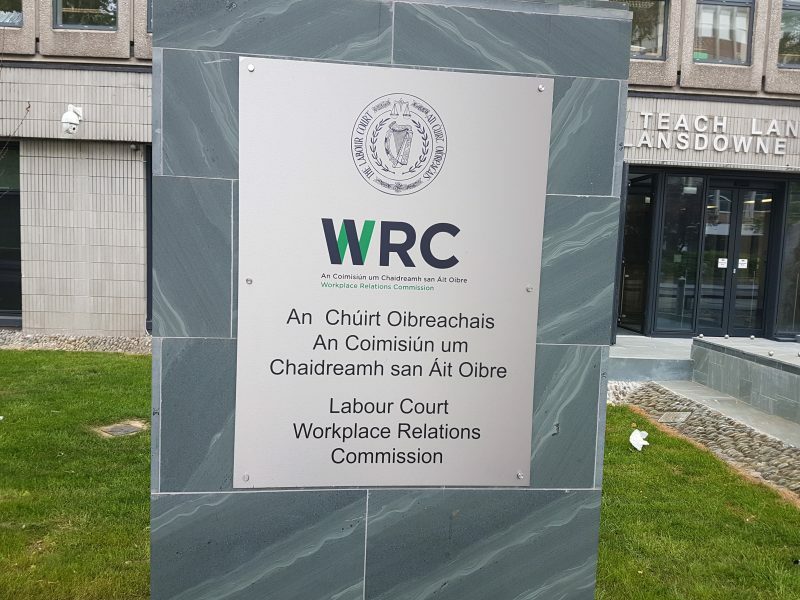 The new system is a simpler one and did away with the Rights Commissioner and Employment Appeals Tribunal service and was replaced by a WRC Adjudication in the Workplace Relations Commission. If you have a complaint about an employment or equality right, or have a grievance under industrial relations legislation you must use the Workplace Relations Commission Complaint Form. (I have previously written an article about how to bring a complaint to the Workplace Relations Commission). The complaint must be made within 6 months of the breach of your right, although the Workplace Relations Commission Adjudicator can extend this time to 12 months where there is reasonable cause shown for the delay. What is reasonable cause will be decided by the Adjudicator. The WRC will copy all correspondence between the parties who are called the “complainant” and “respondent”. The WRC have a mediation service which will be offered to the parties in suitable cases. This may simply involve a phone call from the WRC to the parties to see if they can broker a deal between the parties. If the mediator/WRC employee is unsuccessful the case will go ahead for adjudication. In a claim for constructive dismissal, or an equality based claim, the complainant must submit a clear statement setting out the details of the complaint. In all other unfair dismissal cases the respondent is obliged to provide a clear statement within 21 days of the request from WRC. If this procedure is not complied with the hearing will still go ahead but the adjudication officer may draw an inference(s) from the failure. In an employment equality case the complainant must set out in detail the facts from which discrimination can be shown or inferred. In a constructive dismissal case the complainant should set out as much detail as possible on the WRC complaint form, including any grievances raised, investigations carried out etc. In other unfair dismissal cases the respondent must set out in his statement the facts leading to the dismissal, including any disciplinary hearings, appeals, legal points etc. If a respondent intends relying on statutory records in his defence these should be sent to the WRC prior to the hearing. Any other points the respondent wishes to make-for example in relation to a legal point or the wrong employer being named-should be raised within 21 days of receipt of the complaint from the WRC. Both parties will then be contacted with a date for the hearing, and asked to advise of any special requirements they have, for example, an interpreter. A postponement will only be given in exceptional circumstances, and the request must be made in writing to the WRC with an explanation. Consent of the other party would be useful, too. It is up to the parties to ensure that the WRC has all relevant documentation prior to the hearing and that witnesses, if any, are available for the day. My experience of the way the hearing is held is that it can vary, depending on the particular WRC adjudicator. The WRC hearing is in private, so is not open to the public or media. The written decision is supposed to issue within 28 days of the hearing with the parties and witnesses anonymised. The WRC have issued, at the end of August, 2017, updated guidelines about the conduct of WRC hearings. You can read these guidelines here. The decision can be appealed within 42 days to the Labour Court and the decision can be enforced through the District Court after 42 days if no appeal is lodged. It was the morning of an EAT hearing and I was there early to speak to my client. My client was the employer and the claim against him was brought by a former employee for constructive dismissal. Constructive dismissal is a difficult case to win. But on this occasion I was worried because the circumstances which led to the employee walking out and quitting the job did not reflect well on my client. In fact, I was convinced the employee would receive a great degree of sympathy from the EAT, and would probably win his case. I had explained this to the client, and suggested settling the case would be a good course of action to embark upon, if we got the chance. I had told him to bring the cheque book, too, and he was ready to settle it. We had a figure in mind, and it was correctly based on the financial loss incurred by the employee since leaving the job. He had managed to find a new job but he still had 6 months’ or so of unemployment, and if he was successful this was what he would win, at the very least. In calculating his financial loss, to which he would be entitled, you disregard any social welfare he would have received during the time out of work. Our settlement offer figure was based on this calculation. I approached the other side and approached the legal professional representing the employee. After introducing myself and exchanging pleasantries I asked him what his client’s loss was, knowing full well what it was, and what his client would take. I was amazed at the reply, and struggled to keep a straight face. He estimated the loss at around €10,000. I asked him how he calculated that figure. He replied that his client had received approximately €5,200 from the Department of Social Protection, and he subtracted this figure from €15,600 and arrived at the €10,000 figure. I said I would speak to my client, and see could he stretch to this. Naturally my client was delighted because we had just saved approximately €5,000, and settled the case in about 5 minutes flat. It was a stroke of good luck for my client, because he was ready to pay €15,000. Unfortunately for the employee his representative made a costly mistake in calculating his financial loss. I can only presume that the representative did not do much employment law in his daily work. 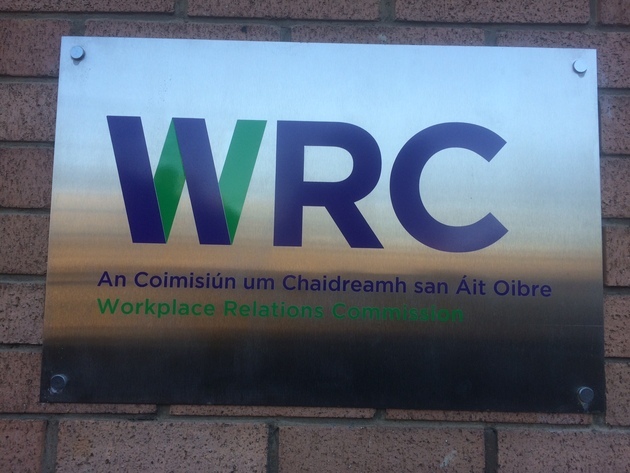 Some months later I was involved in another case-this time at the WRC (Workplace Relations Commission)-and acting for the employer again. On the other side were the employee and her solicitor. The employee had a number of complaints against my client, her former employer. I instructed counsel in this case and we were fully prepared to fight the case and each and every claim in the complaint. However, we also had a preliminary argument before the hearing commenced at all. This was that the complaint was made outside the 6 months’ time limit provided, and therefore the WRC adjudicator simply did not have jurisdiction to hear the case. When the Adjudicator walked in to deal with the case he said he had a few questions to ask of the complainant and her solicitor. He immediately honed in on the time limit question and decided, without any submission from our side, that he simply did not have jurisdiction to hear the claim as it was out of time. That was it. It was over, and the case was thrown out in a matter of a minute. You have a number of choices when it comes to bringing a claim to the Workplace Relations Commission (WRC). You can run the case yourself, or you can get a HR person to represent you. Or you can get a solicitor, or a solicitor who does quite a bit of employment law. Are you being treated unfairly or unlawfully? Thinking about bringing a claim to the WRC? There are 3 important things you need to think about before lodging your claim. Are you interested in knowing what they are? The most important thing you need to think about is how strong your claim is, and what is the likelihood of winning. It can be a stressful enough course of action to embark upon, and many people try to avoid conflict at all costs. Throw into the mix the fact that your employer or former employer will be there to defend your claim and perhaps give a different version of events from yours, and it will deter many people from bringing the claim. This should not be enough to prevent you, although this is entirely a decision for you. But what you do need is an objective, professional assessment of your case before making any difficult decision to plough ahead for put the matter behind you and forget about it. When you bring a clam to the WRC or Labour Court each party pays their own costs. This is unlike going to Court where the loser pays the winning side’s costs along with his own: “winner takes all”. 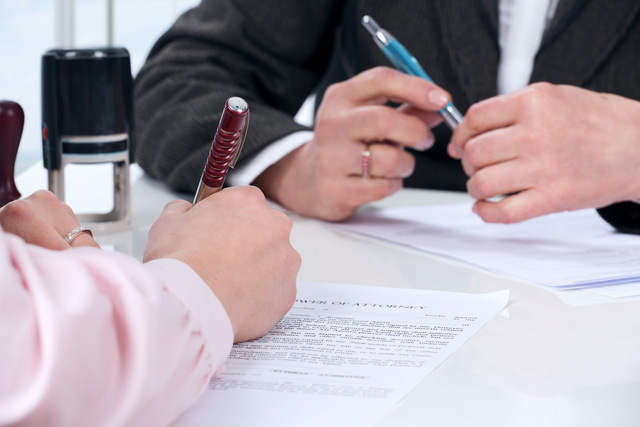 You need to factor in this cost if you are getting professional legal representation, which is strongly recommended. The legal fees will take into account the complexity of your case, the amount of time it will take to prepare for the hearing, the amount of time for the hearing itself-which will be heavily influenced by the number of witnesses-, and perhaps an appeal. You need to weigh up this cost, and the potential payoff. There is a wide range of potential claims you can bring to the WRC, with widely varying compensation and redress if you are successful. For an unfair dismissal the maximum you can be awarded is 2 years’ salary. However, if your claim is based on the employer’s failure to give you a written contract the maximum that can be awarded is 4 weeks’ remuneration. So, you need to weigh up this cost/benefit analysis carefully. Leaving aside the factors discussed above there is another one: the psychological benefit and relief of getting to put your side of the story and stand up for yourself and your rights. For many people this benefit outweighs any financial considerations.